I stole some white stickers from my old office (place i used to work). 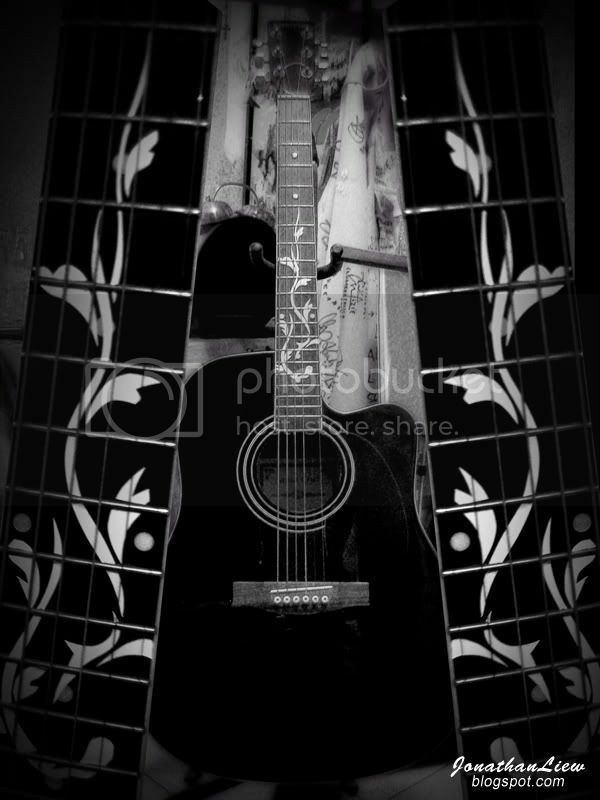 cut with normal pen knife, come out with some floral design on the guitar's fret board, I am putting new design on my guitar each year so it looks new every year. I love my guitar a lot, it's a Santa Cruz acoustic, I remember I work pretty hard for it during my school holiday in 2003, i bought it for RM350 at Lee's Music…with RM100 bucks sponsored by Bro-in-law hehe. I managed to earn 250 nia that time.